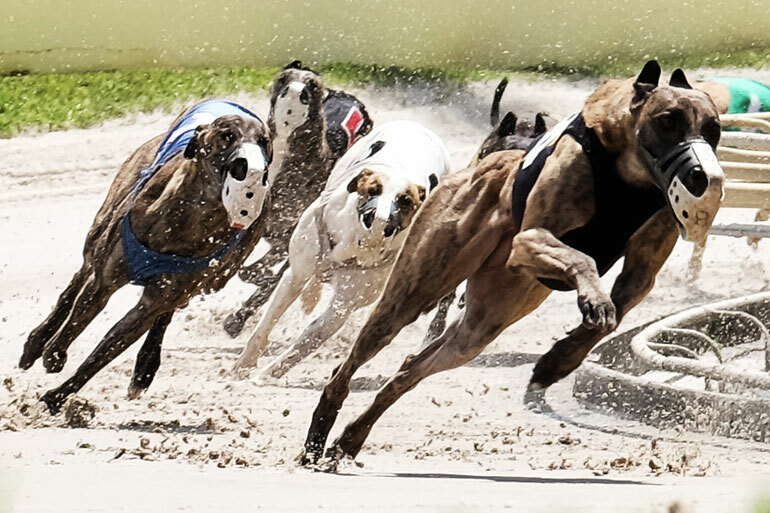 The Big Three $150,000 Stakes Series continues with ESPN Radio West Palm LIVE. It’s a great day with the James W. Paul 3/8ths Mile Derby finale featuring our fastest sprinters plus a radio remote, family fun activities, and greyhounds to pet! Enter to win up to $500 in the Cash Cube. This will be the 88th annual running of our Derby, which has been run since PBKC’s opening in 1932. The event is our middle-distance championship and pays tribute to greyhound owner and adoption supporter James W. Paul.